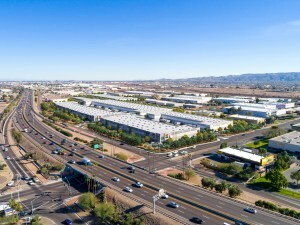 PHOENIX, ARIZ. – Industrial demand remains high following a record 2017 with the Sky Harbor and Southeast submarkets experiencing most of the activity since the last downturn, but demand is outpacing the current supply, spurring the adaptive reuse and modernization of existing buildings to keep up with growing demands, evolving tenant needs and to optimize the industrial landscape for future growth. Capitalizing on this demand is Chris McClurg and Ken McQueen, principals at Lee & Associates Arizona, who teamed up with seven developers to build eight different speculative projects, totaling nearly three-million square feet of new industrial space at previously overlooked development opportunities in the Sky Harbor and Southeast submarkets. Of the eight projects in various stages of development, approximately 1.2-million square feet will consist of the redevelopment and adaptive reuse of older sites and buildings for prospective new tenants. Whether it’s the adaptive reuse of a former Sam’s Club at HUB 317 or the redevelopment of a 60-year outdoor pipe manufacturing facility into over 900,000-square-foot state-of-the-art industrial product at Prologis I-17 Logistics Center, the 2.8-million square feet of spec projects in the pipeline represent market strength and demand as well as the need to better accommodate and attract tenants involved in manufacturing, distribution and other industrial uses such as last mile logistics and e-commerce delivery. With industrial vacancy at 7.5 percent, the market is healthy, but vacant land limited and increasingly scare in these submarkets, and one challenge is figuring out how to leverage the bones of an older, existing facility to transform it into a state-of-the-art Class A industrial space such as HUB 317. With more than 45-years of combined industrial experience, McClurg and McQueen are providing developers a unique full-service approach — from land sale through design, construction and leasing — that includes ground-up development input related to the functional attributes of the property and hard market data to justify how it all effects prospective tenants. The HUB 317 project entailed redeveloping a former 117,000-square-foot Sam’s Club with 8:1000 parking into warehouse product. The structure of the building with 24-foot clear heights, truckwell loading and A-2 zoning were conducive to modifying the former retail property into industrial product type. By expanding the building an additional 110,000 square feet and renovating the existing building, the property is now 20-percent pre-leased, with completion expected this month. 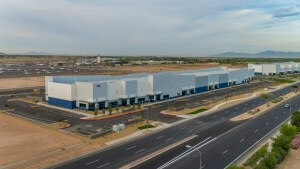 Thus, recently completed projects like Metro East Valley Commerce Center and Chandler Airport Center — both with 24- and 30-foot clear heights — continue to attract new companies wanting to set up operations in the Valley as well as existing companies with expansion plans. 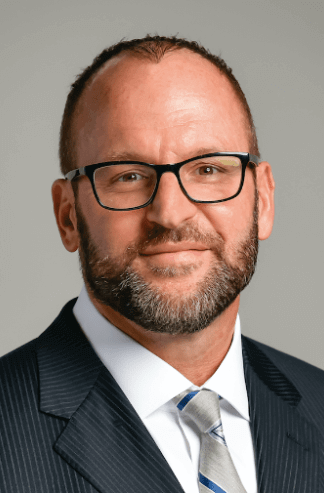 Since completing construction, both projects are 95-percent and 70-percent leased with six tenants each respectively, totaling more than 532,545 of occupied space. For more information on the properties, visit www.leearizona.com or contact McClurg at (602) 741-2655 or McQueen at (602) 920-6042. 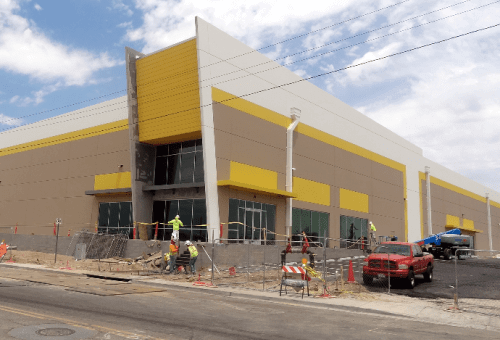 This is the premier development in the Sky Harbor market given the size, visibility and redevelopment of an old, obsolete concrete batch plant into over 900,000-square-foot state-of-the-art industrial product. 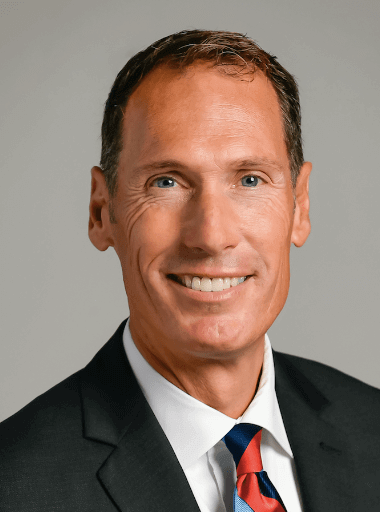 The 44.5-acre site was a former 60-year-old outdoor manufacturing facility for NOV that located at a full-diamond interchange with over 1,000-feet of frontage along I-17. 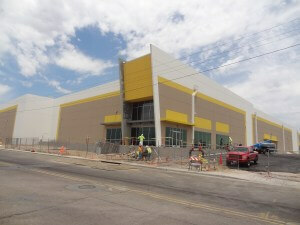 Phase I will consist of 567,112 square feet and 334,085 square feet for Phase II. The site is completely graded now, with construction underway and delivery anticipated for 1Q 2019. The HUB317 project entailed redeveloping a former 117,000-square-foot Sam’s Club with 8:1000 parking into warehouse product. The freeway visibility/proximity to SR 143, I-10, Loop 202 and Sky Harbor were factors lending this property to an industrial redevelopment. The structure of the building with 24-foot clear heights, truckwell loading and A-2 zoning were conducive to modifying the former retail property into industrial product type. By expanding the building an additional 110,000 square feet and renovating the existing building, the property is now 20-percent pre-leased, with completion scheduled for mid-June 2018. 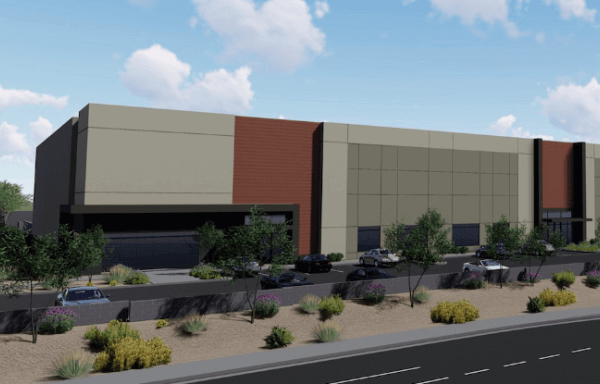 Located directly north of the Phoenix Mesa Gateway Airport with direct freeway visibility on the Loop 202, the project consists of two multi-tenant buildings totaling just over 138,000 square feet that are divisible to 6,000 square feet. Current market demands for smaller bay sizes attributed to the project’s design, which will also feature 24-foot clear heights as well as truckwell and grade level loading in each suite. Beginning construction in late 2018, the 80-acre industrial park will be designed to accommodate a wide range of industrial users of all sizes between the seven buildings that are planned. Phase I will consist of three buildings for a combined 237,592 square feet with clear heights ranging from 28-32-feet. 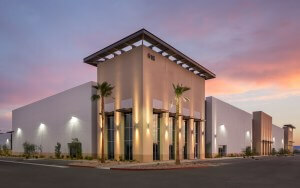 The four industrial buildings range in size from 53,739-128,307 square feet with divisibility to 7,500 square feet. Two of the four buildings are fully occupied, and 19,504 rentable square feet remain between the other two facilities. The two new industrial buildings will be 155,480 and 208,100 square feet each with divisibility to 20,500 square feet. Located on 21-acres, the buildings will feature 32-foot clear heights, grade level and truck well loading and 2,000 amps of power per building. The Class A industrial park currently consists of two buildings (122,247 and 88,6779 square feet) and a 3.4-acre pad site that’s available for sale or build-to-suit project. The largest building has two tenant and 63,000 square feet of space available while Building B has eight tenants and 7,000 square feet of space remaining. Located on 63.4 acres at Elliot and McQueen roads in Gilbert, the master-planned park with light industrial zoning can accommodate manufacturing, distribution, office and other industrial uses. Phase I construction will include a speculative warehouse with 32-foot clear heights, 40 dock high doors, and 4 grade level doors that will be divisible to 15,000 square feet. Breaking ground in Q3 2018, completion is scheduled for June 2019. Lee & Associates Arizona specializes in providing exceptional commercial brokerage services to the retail, industrial, office, land and investment sectors of the Phoenix commercial real estate market. Each of the nationwide Lee & Associates offices has a strong local ownership combined with a powerful platform from the national Lee & Associates network.